Held in conjunction with Saskatchewan Design Week, a biennial event hosted by the Design Council of Saskatchewan (DCS) that took place from September 23-29th, 2017, the Premier’s Awards of Excellence in Design recognized outstanding applied design done in Saskatchewan. 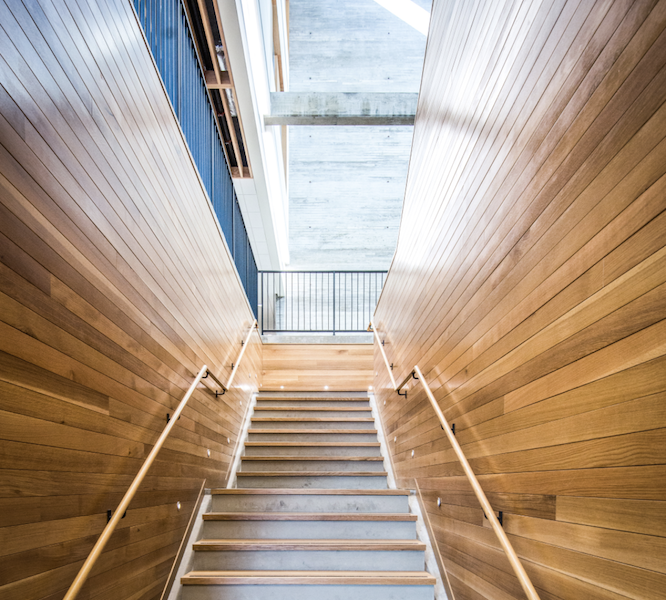 Awards were earned in the following categories: architecture, engineering & geoscience, graphic design, interior design, landscape architecture, planning, and integrated design (demonstrating significant involvement of three or more member associations in the project). The competition was open to certified individuals and corporate members in good standing with a DCS member association. All entries were designed in Saskatchewan by Saskatchewan resident professionals and were completed within the two-year period prior to Design Week. A jury composed of one representative from each member association as well as invited guest jury members from the Design Week Speakers Series evaluated entries on criteria appropriate to each category. All entries in the competition were displayed to the public during Saskatchewan Design Week. The awards were presented during the Premier’s Awards of Excellence in Design Reception at the conclusion of Saskatchewan Design Week. 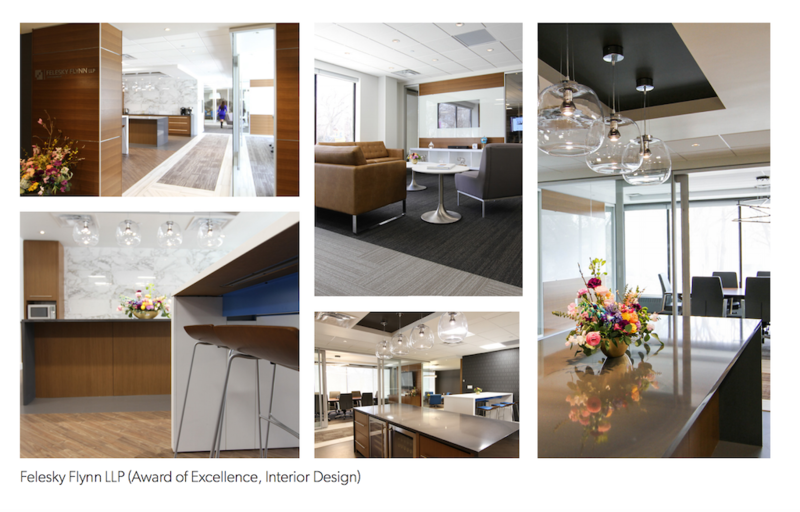 In the interior design category, the ‘Award of Excellence’ was won by aodbt architecture + interior design’s office for Felesky Flynn LLP. The ‘Award of Merit’ was presented to Oxbow Architecture, JC Kenyon Engineering, Daniel’s Wingerak Engineering, Ritenburg and Associates, Catterall and Wright, D-Code Engineering’s Health + Light: Avenue P Medical Office Building, while an ‘Honourable Mention’ went out to Group2 Architecture Interior Design Ltd, Crosby Hanna & Associates, Entuitive, ISL Engineering and Land Services Ltd.’s work for Saskatchewan Joint-Use Schools Project Technical Advisory Services. 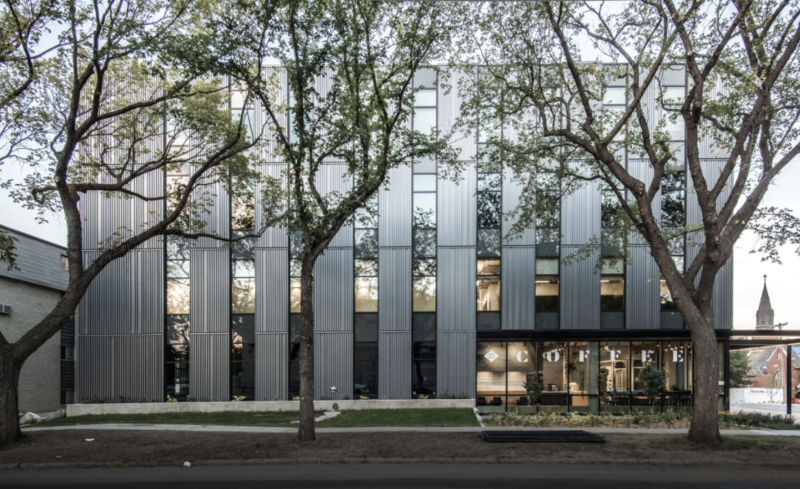 Finally, the Health + Light: Avenue P Medical Office Building also claimed the ‘People’s Choice Award.’ An overview of the architectural winners is also available via Canadian Architect.